Tofu which is popularly known as bean curd is made of soy milk. Though it has a subtle flavor, it is rich in protein and very healthy. And nowadays people started replacing paneer with tofu because of its health benefits. It has its own flavor and lots of recipes can be prepared with this nutritious ingredient. Potatoes are best known for its highly contained carbohydrates and adding it along with Tofu makes a meal very healthy and filling. 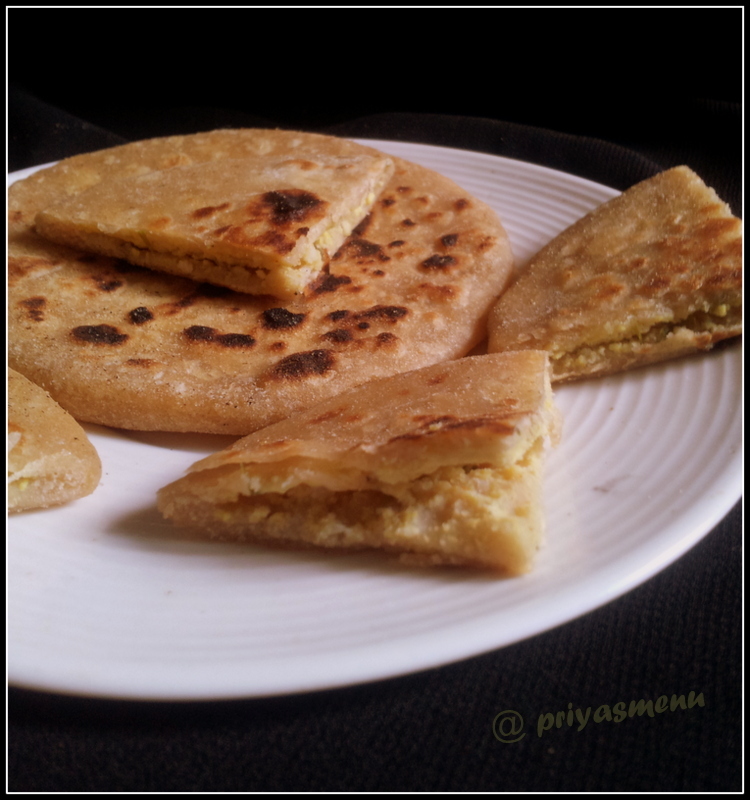 Prepared this nutritious paratha for Vegan Thursday Event created by Priya Suresh from Priya's Versatile recipes and Am very happy to be one of the member. This is a lovely oppurtunity to try some healthier vegan recipes. Mix Wheat flour, salt, oil and water in a bowl. Knead well and prepare a soft dough. Keep aside. Add mashed potatoes along with grated tofu in a separate bowl. Now add garam masala, salt, turmeric powder, chopped coriander leaves and finely chopped green chillies. Mix well and prepare small balls. Divide the chapati dough into big sized balls. Roll out each balls into a small circle and fill it with tofu-potato mixture. Now bring all the sides together and seal it tightly. Roll it again gently using rolling pin and cook it on the tawa or griddle using little oil or butter until both sides turns golden color. 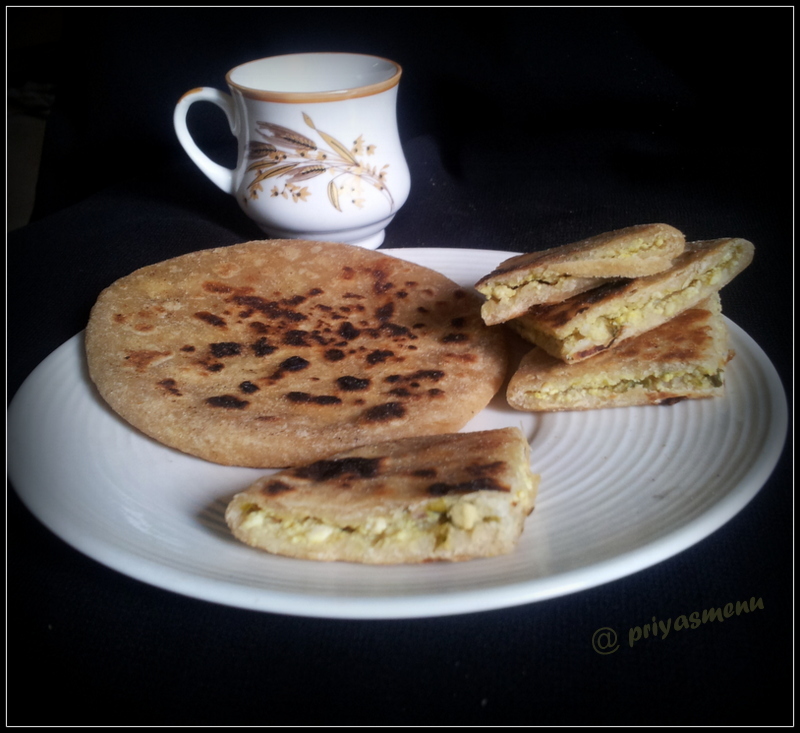 Serve hot with curd / yoghurt with pickle. 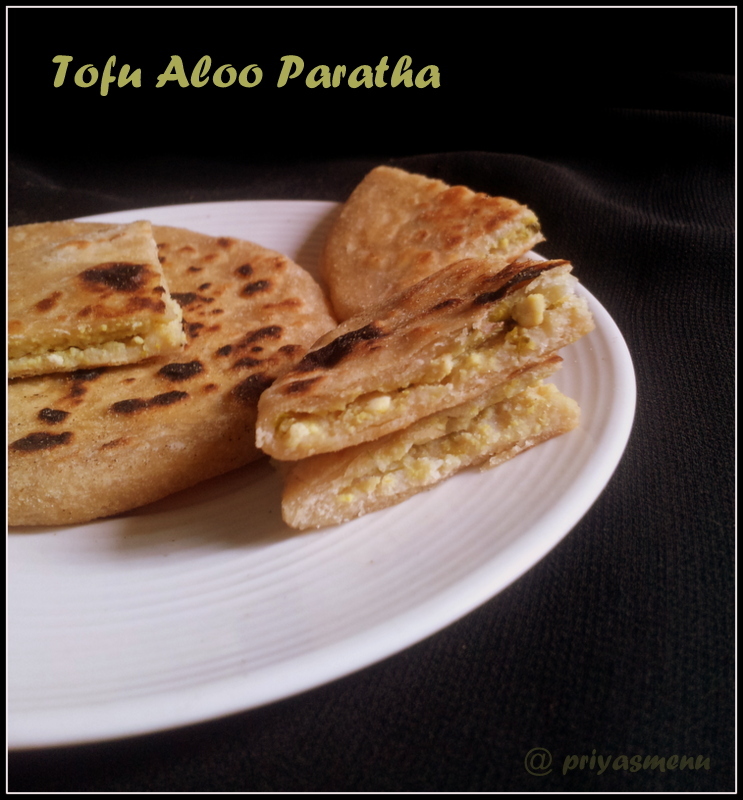 Fantastic stuffing, even i love this tofu aloo combo in parathas, excellent dish. love tofu in this form. Lovely stuffing. 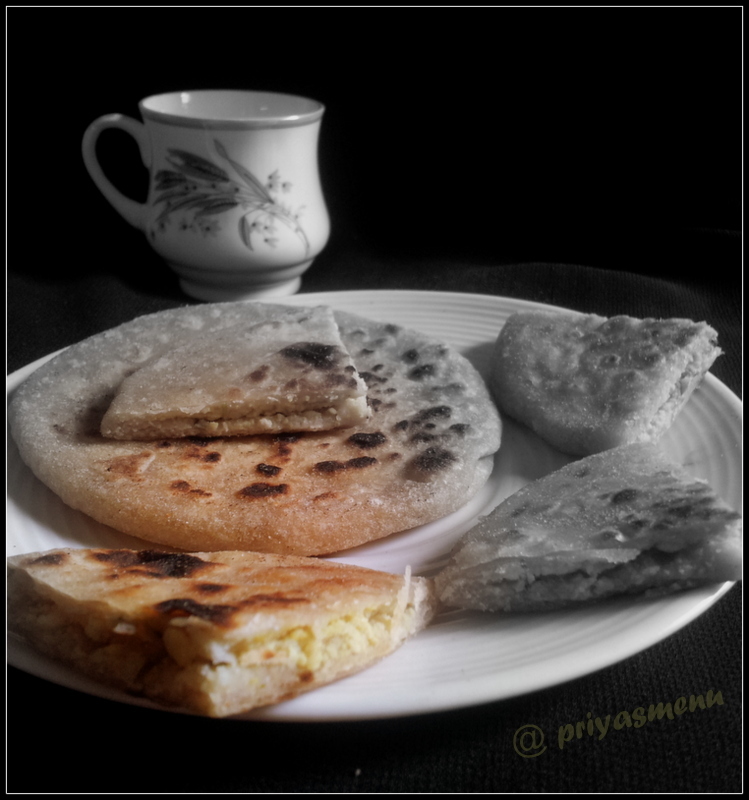 super delicious n healthy filling...parathas looks so yumm!! Was looking for some recipe n redirected to your page :) Lovely space you have, connected to you via GFC... Happy to connect!! !